19/11/2018 – SC/TO Special Drive for SC/ ST Candidates Results Announced. Check Schedule for Medical Examination Details in enclosed PDF Below. 12/10/2018 – Delhi Metro Station Controller/ Train Operator Result for the Document Verification and Psycho Test Announced… See Schedule for the Next Rounds. Haiii friends… Good News for the candidates appeared for DMRC SC TO Examination 2018. We think intenders who attempted DMRC Examination are now eagerly waiting for the DMRC Station Controller Result. We help those candidates who are waiting for the DMRC 2018 Result by providing a DMRC SC TO Exam result Download link. Immediately after the Board announces the DMRC Result SC/TO 2018 on their official web portal, we upload the same link here on this page to check the Delhi Metro SC/TO Result 2018. On the Result announced date, there will be a lot of traffic on the official website and it becomes tough to know your results. Hence, to help the contestants we are providing the same link on our site to check www DMRC Result 2018. Name of Exam Conducting Body Delhi Metro Rail Corporation. Post Name JE, maintainer, SC TO. Examination Name DMRC SC TO Examination. Notification Released Date 27 January 2018. Starting Date of Online Application 27 January 2018. Ending Date of Online Application 26 February 2018. Exam Date 09th to 26th April 2018. Admit card Download Date 26.03.2018. 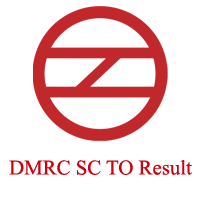 SC TO DMRC Result date 04th September 2018. 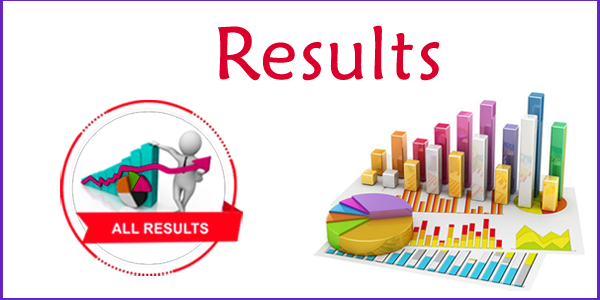 Category Name Sarkari Result 2019. Selection Process Written Examination and personal Interview. Candidates interested in Railway Jobs can use the opportunity of DMRC SC TO Recruitment Notification 2018. DMRC Board released a notification to recruit “1984” candidates for various Posts. Under this notification, the Board DMRC going to recruit the aspirants for Station Controller, Train Operator, Junior Engineer, and Maintainer Jobs. There is a lot of competition to get a job because this is a dream job for many candidates and are waiting for this notification. So, the individuals should work hard to get a DMRC SC TO job. Intenders whoever appeared for the examination on the scheduled dates are now waiting to know their status of the examination. To get DMRC SC/TO Result document they should have the roll number. The Delhi Metro Rail Corporation Board is eagerly waiting for eligible candidates to fill up various posts in DMRC Department. To place the candidates the board conducts the test to check their skills whether they suit for DMRC Jobs or not. This year the officials of the DMRC decide to conduct two rounds to know individuals knowledge. Firstly, the Board conducts the written Examination to check their subject knowledge thereafter conducts the Personal interview. In this round, the panel checks their personal behavior. If the applied candidates are more then the board has the authority to change the selection procedure. This is done to filter a huge number of candidates. After completion of the written test intenders can check their results online through DMRC SC TO Result download link provided below. The candidates should secure at least DMRC Cutoff marks in DMRC SC TO Examination 2018 to clear it. Otherwise, the aspirants get disqualified. Candidates can check their results with the help of Answer Key as well as Cut Off marks. After verifying the Answer key if they reach the DMRC SC/TO Cut off marks then they have maximum chance to qualify the examination. But it is not the DMRC SC TO final result 2018. Because sometimes, the DMRC official Answer key may contain some mistakes. If you are looking for DMRC SC TO 2018 Merit List, then don’t worry. Because Delhi Metro Rail Corporation after releasing the Final Answer key releases the DMRC 2018 SC TO Result. After the DMRC SC TO Result is out, the board plans to post the Merit list details on their official web portal. Very quickly, we also post the list on our page. In the DMRC SC TO Merit list, the candidate’s names and Roll number who qualified for the further round are placed. If you find your name in it then you can be ready for the further selection process. Therefore, follow our site regularly, to get the latest updates on all categories of Indian Railway Jobs. DMRC Board after completion of corrections in the DMRC Answer Key releases the DMRC Station Controller Final result. Checking DMRC SC/TO Exam result is very much important to know whether they have qualified further round are not. Here, in this section, we provide step by step procedure to get the DMRC SC TO Result Card document. Candidates who do not know how to download DMRC Result card can follow the below steps. The home page will open. There click on the Careers tab available at the top of the page. Now, search for the DMRC result for DMRC SC TO Exam 2018. Then, click on the respective result link. Enter the hall ticket number, date of birth and password details of the candidate. Verify details and click on the Proceed button. Now, the Delhi Metro Rail Result will display on the screen. Finally, take the printout of the DMRC SC TO Result 2018 for the further rounds. In the above article, we mention the information only for reference purpose. As soon as the Board releases the official we mention it on our page. As soon as the Board announces the details on the DMRC SC TO Result 2018 we update here on this page. So, visit our site RRB Recruitment regularly to get the latest updates on the DMRC Jobs. Sir station controler and train operator Ka result kB tk aayega..